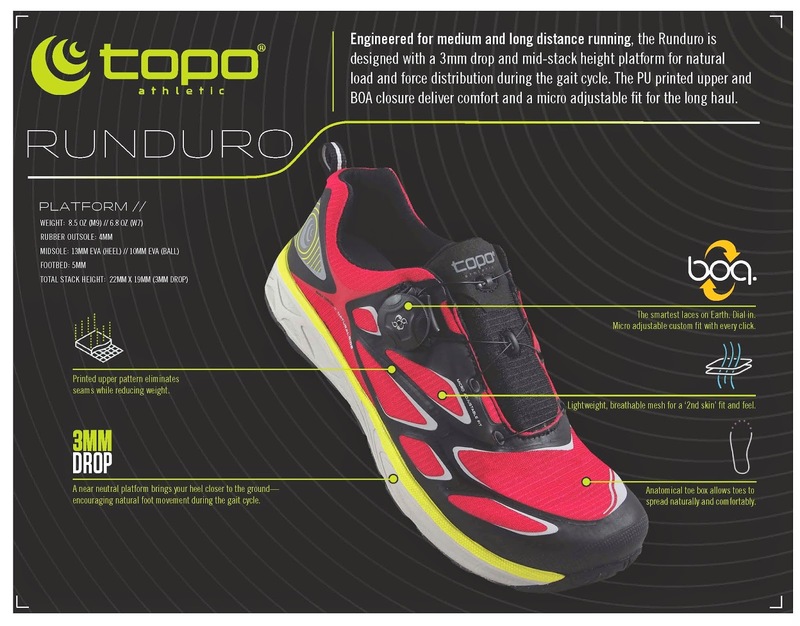 Topo Athletic has hit another one out of the park with their newest road shoe, the Runduro. This is a great shoe and has earned a permanent place in my shoe lineup. Have to throw in the baseball references before the season is over. 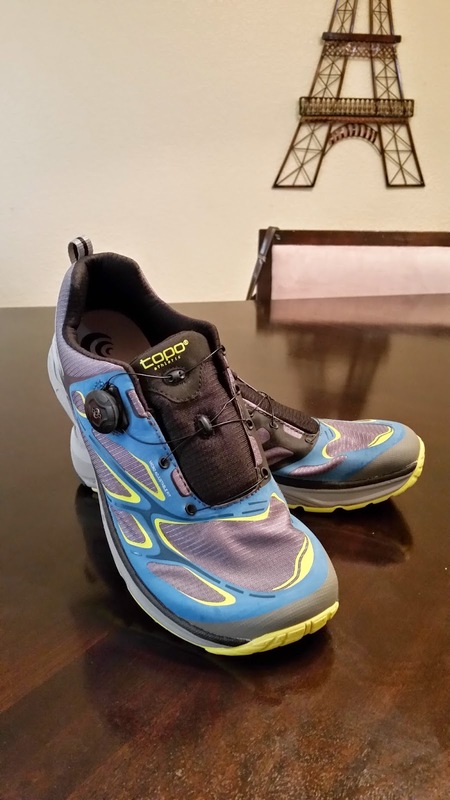 The Runduro is a light weight shoe weighing in at about 8.2 ounces. It is made with a printed upper and features no seams. It is one of the most comfortable shoes that I have run in. 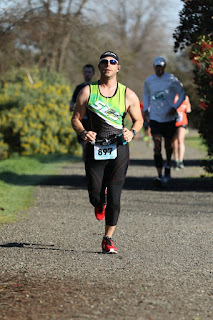 As with most of Topo’s shoes, you do feel the ground as you run. I found that there is the perfect amount of cushion. 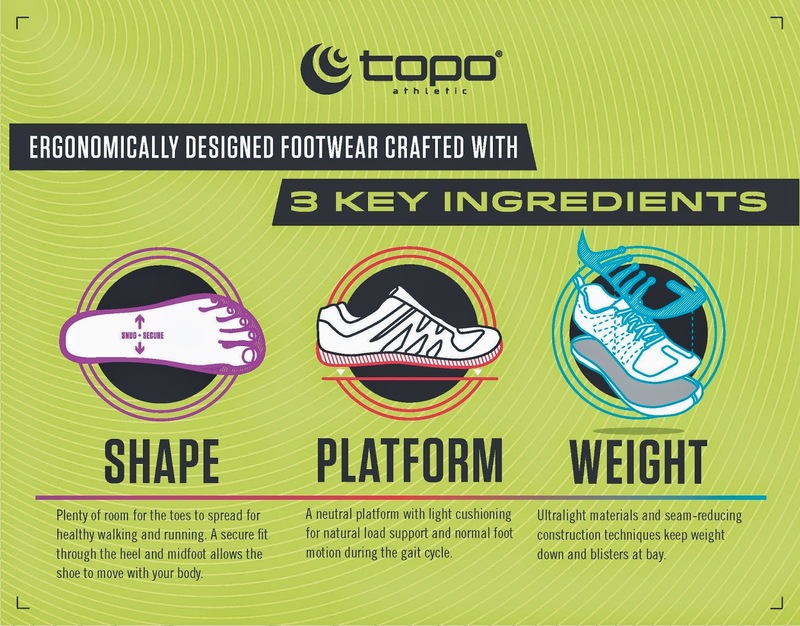 Topo wants you to connect with the ground to give you more of an organic run. Some of my favorite features of this shoe include the 3mm heel drop which is low enough not throw your form out of alignment. It also utilizes the BOA lacing system. Gone are the days where you had to worry about if your shoes would become untied. The boa system is a knob that you rotate to tighten the cable laces. The Boa system works great and has a lifetime warranty. The “anatomical toe box” as they call it, is a wider toe box like Altra uses that allows your feet to spread out as your feet are naturally designed to do. No more having your shoes push your big toe inward. I can feel that I am more stable and have a better toe off since running in a wider toe box shoe. 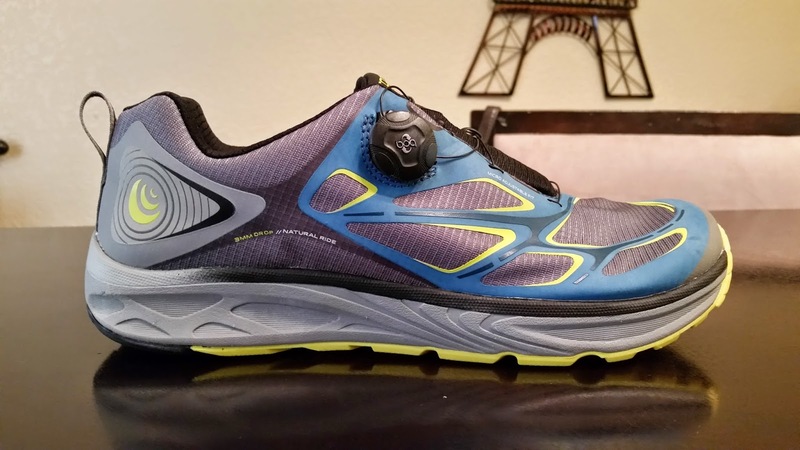 Unlike most Altra shoes (which my wife calls clown shoes), the Runduro is a great looking shoe. 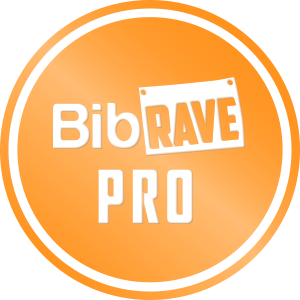 This is a superb medium to long distance shoe that you could train in or take out for your next race. I love this shoe and I am sure you will too. The Runduro starts at $120 and is well worth it.